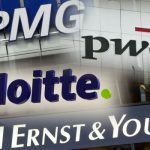 President of biggest law firm in France Fidal accuses KPMG of ‘coup’ against the profession after 130 lawyers decamp to accounting giant. Fidal was affiliated with the KPMG network before severing any link with the audit network in the early 2000s due to regulations requiring clear separation between the board and the audit. The two firms maintained a non-exclusive power-sharing relationship. 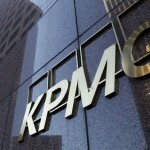 The press reports state that in July 2018, KPMG decided to break the deal, but KPMG included two clauses to reassure Fidal: a notice clause until 2019 and a non-poaching clause until 2020. Fidal is France’s leading law firm with some 1,450 lawyers and lawyers and 90 offices in France, generating 363.2 million turnover in 2017-2018. KPMG France last year hit the billion turnover mark with 1.074 billion. It posted a 9.5% year-on-year growth in its business.